American political analyst and journalist Peter Tase wrote an article published in several international websites covering corruption in Albanian government and its relations with Armenia and Azerbaijan. As a Balkan country the size of Maryland, Albania’s agrarian society with an underdeveloped and grey economy has missed a number of opportunities, over the last three decades that could have sparked Tirana’s industrial ambitions and secured a constant economic growth. While there are many obstacles contributing to the nation’s stagnation, over the last twenty-two years in his various capacities in public service. "President Ilir Meta has demonstrated a poor leadership in the implementation of Albania’s Foreign Policy, and its relations with Azerbaijan, as a statesman has shown a horrible incompetency to strengthen presidential diplomacy and above all brace his nation’s democratic institutions," Peter Tase writes. "His predecessor, President Bujar Nishani, worked hard to build a presidential diplomacy, a young tradition that is not uplifted by Mr. Meta, whose constitutional legitimacy is eroding while his cronies and Russophiles are harming the Tirana-Baku strategic partnership," Tase thinks. As the world is facing new disruptive forces and the European Union institutions are constantly evolving, Mr. Meta and his team of diplomatic advisors are slow to adapt accordingly, Albania’s head of state conducts expensive trips to Washington, London and Munich engaged in a diplomacy of hallways, without any predetermined agenda nor any tangible economic benefits for his country, as the Albanian people are victims of rising income inequality that is delaying their – full European Integration – aspirations, progressive dreams and dimming their hopes. On February 15, 2019, Mr. Meta requested and held a meeting with the President of Armenia, Mr. Armen Sarkissian, on the sidelines of Munich Security Conference. This meeting takes place exactly one month before Mr. Meta’s March 15 visit to Baku, as the Albanian head of state he was invited by the Government of Azerbaijan to deliver an opening statement in the VII Global Baku Forum. Currently Albania enjoys a strong economic cooperation with the Republic of Azerbaijan; the continental energy project of Trans Adriatic Pipeline (TAP) has developed the national economy of Albania and strengthened its labor competitiveness. "In turn, Tirana has maintained a biblical silence when it comes to denouncing the crimes against humanity perpetrated by Armenian Armed Forces in the sovereign territory of Azerbaijan (including Autonomous Republic of Nakhchivan). TAP Project has improved the infrastructure sector of Albania and the Balkan region," the analyst said. Moreover, the development of Gjon Mili Museum in the city of Korça is an investment of approximately 425,000 Euros and is part of TAP’s social and environmental investment (SEI) program. President Meta’s meeting with his Armenian counterpart is testimony to a chaotic Foreign Policy and obscure interests that only his close associates might know. "The Albanian president should have focused all his energies to arrange a bilateral meeting with the U. S. Vice President Mike Pence or Speaker of the House of Representatives Nancy Pelosi, knowing Tirana’s redundant supportive rhetoric towards Washington and Brussels," Peter Tase notes. Notwithstanding his predecessor’s genuine leadership in strengthening the Tirana – Baku strategic dialogue, Mr. Meta initiated top-level bilateral contacts with Yerevan for the first time in almost three decades of democratic transition in Albania. As the top leader of Albania, Mr. Meta should have been more cautious in meeting with Armenia’s representatives knowing that Yerevan has occupied, for over thirty years the twenty percent of the sovereign territory of Azerbaijan and refrains from respecting the International rule of law and has repeatedly violated four UN Security Council Resolutions. A close partnership with Armenia would be a heavy blow to Albania’s strategic interests as a member of North Atlantic Treaty Organization, knowing that Yerevan is deeply connected to Teheran and Moscow. However time will reveal what lies beneath the first Meta-Sarkissian Summit and the real intentions of Albania’s head of state. "Notwithstanding geographic proximity the two countries, Albania and Armenia share only a handful of cultural, economic and political affinities. Former President Bujar Nishani has maturely and legitimately harnessed a close dialogue and strategic cooperation with the Republic of Azerbaijan, hosting in Tirana the Speaker of Azerbaijani Parliament Mr. Ogtay Asadov, (September 2012), a visit followed by Vice-speaker of Azerbaijani Parliament the Hon. Bahar Muradova, who arrived to Albania in October 5, 2012, to attend the OSCE Parliamentary Assembly Session. It appears that Mr. Meta may have concealed interests in Yerevan or is a share holder of a diamond polishing company of Armenian capital with operations in Africa, knowing that Albanian president enjoys luscious vacations in his South African mansion, in addition to his massive wealth hidden in the banks of Great Britain and Europe," the American analyst writes. 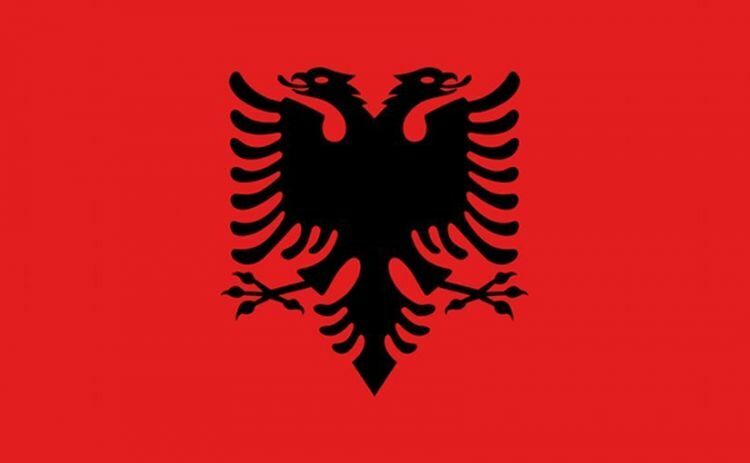 "As Albanian people can hastily ascertain, rotten domestic politics encouraged by Europe’s worst kakistocracy, is dramatically influencing Tirana’s shortsighted foreign policy and jeopardizing Albania’s cooperation with its historic partners, even more so now that the Meta-Kryemadhi couple have ding dongs on their right hands and gold sponge cakes at their left. 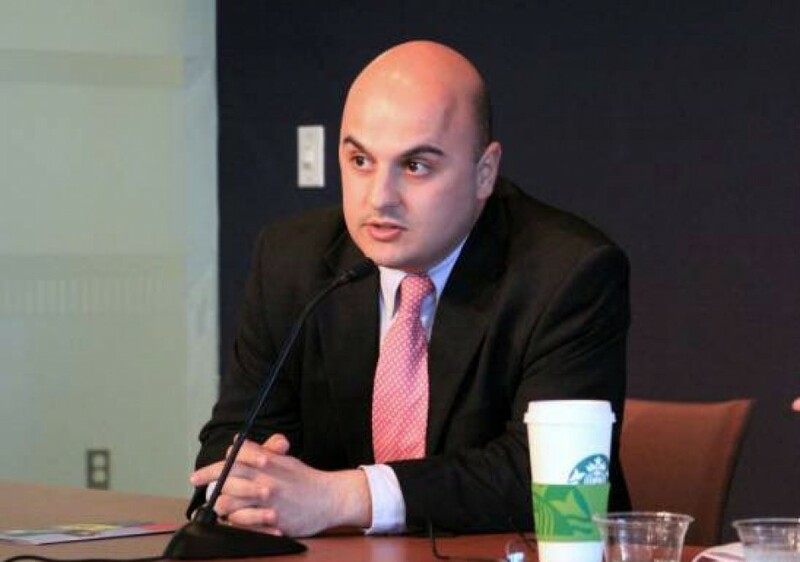 Hope remains high that Ilir Meta’s second half of his presidential term in office would not betray the close Tirana-Baku partnership, avoid the evil influence of presidential imprudent diplomatic advisors and certainly refrain leaving Albania in a lurch," Peter Tase concludes his opinion.